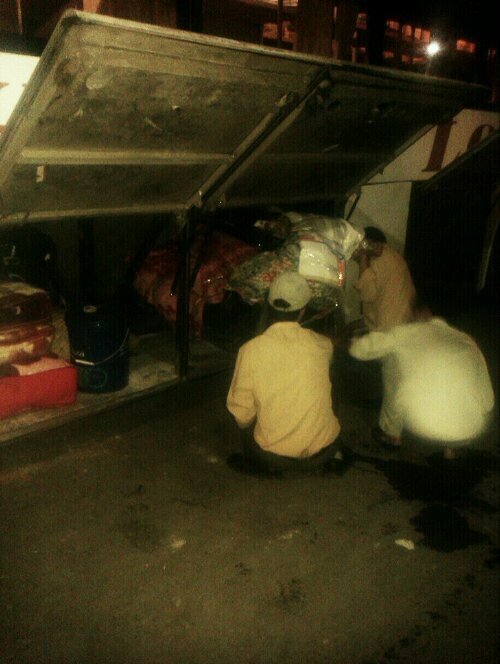 The night bus to Hue | So Much to See......So Much to Do. Another new experience. To get to our next Vietnam destination of Hue, Kerry and I took an overnight bus. 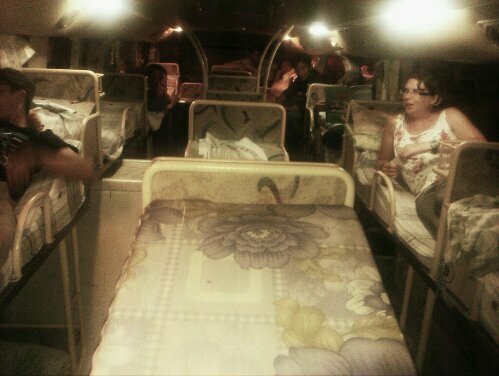 These buses are equiped with narrow short (not designed for us western heffers) beds. The beds are divided into with rows with 12 beds on each row and a toilet. Kerry and I bagged top window bunks which have limited headroom but felt less exposed. We departed Hai Phong, outside Hanoi, at 20.00 after watching a gift wrapped scooter being loaded in the boot, yep you heard right. In a very civilised manner we had to take our flip flops off when boarding and place them in a plastic bag. Once again we were the only westerners on the bus which was made up of teenagers and businessmen. Morning update – bloody hell. Let’s just say that wasn’t the most pleasant journey. The beds step at the top to make a natural pillow and allow foot space beneath for the victim behind you (ok passenger) however because they are short beds my shoulders rested on it instead. To get just my head on the pillow I had to contorted my body into a position that left my backside hanging over the aisle due to the narrowness of the bed. Which then allowed the short crappy safety bar to dig in my back. All night the driver hammered away on the horn alerting phantom fellow road users we were there (see this link for an example) Back to trains me thinks. On the plus side I got loads of my book read….instead of sleeping! « A funny thing happened…….